Delivered with suction cup, use it anywhere. Peels, slices and cores simultaneously. 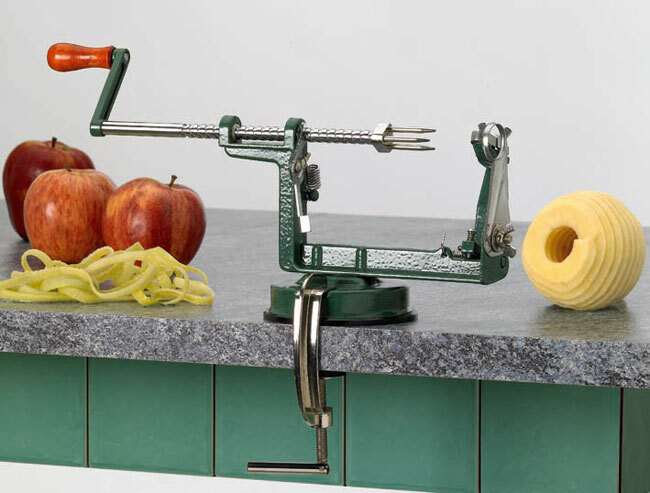 APPLE PEELER/SLICER/CORER APPLE PEELER/SLICER/CORER Blade (spare part for 215155).